As a team, they've trained countless aspiring heroes to be part of the best of the best! LittleLizard and TinyTurtle are the twin brothers that form the reptilianadventure duo, LittleLizardGaming. As a team, they've trained countlessaspiring heroes to be part of the best of the best! 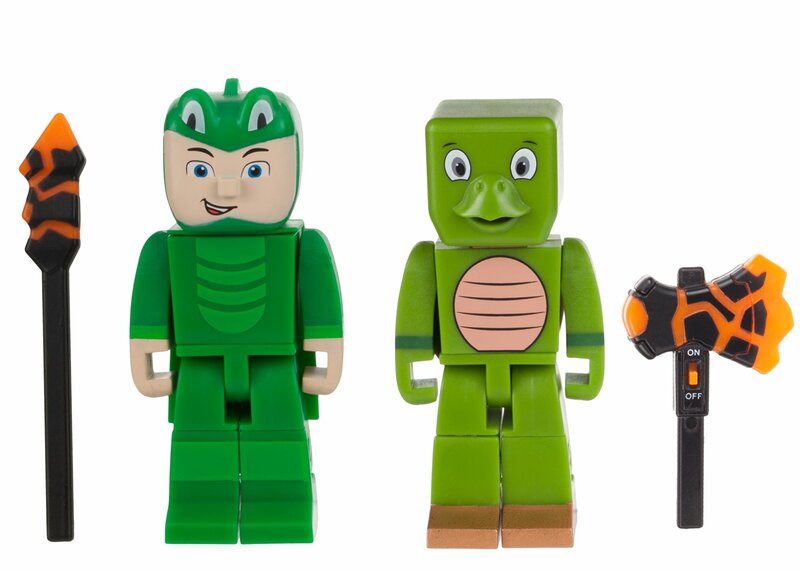 This pack includes: LittleLizard figure Tiny Turtle figure Light-Up Axe Light-Up Spear.